I have struggled with perfectionism for years. It has only been in the last couple of years that I realized how much it was weighing on me. Mostly because I am far (far) from perfect. And all the effort I put into trying to be was too heavy and cost me too much. 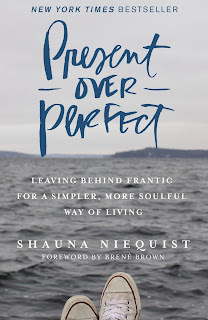 I recently read Present Over Perfect by Shauna Niequist. I love her. But, even more than I love her as a writer, I love the idea of the book. Shauna talks about how she lost herself trying to do everything and be everything for everyone but herself. I’ve been there. Some days I am still there. As a fan of the book and a fan of Jesus, I decided to press forward and host a study on the book at my home. We have only met one time so far, but I am excited to have women enter my home with wide smiles, strong opinions, and vulnerability. Because you need all of those characteristics to fess up to being imperfect and recognize you are nowhere near it. While going through the book and now the study, I have come to realize that I have lost a lot of myself trying to please everyone else. At one point in the past month, I caught myself confused about my own feelings. Was I really upset about something or was I just upset because I felt like someone else was upset? If that person was not present, would I still be upset? When I recognized that I struggled to even identify my own feelings, I knew I had to redefine some things for myself. I am working more now than before, so I am suddenly much more aware of how precious my time is with my family and loved ones. I simply do not have the time to do all the things and be all the things. I am not capable or efficient enough to be perfect. So, I have made a new rule for myself. If someone or something requires perfection, I am drawing a line. 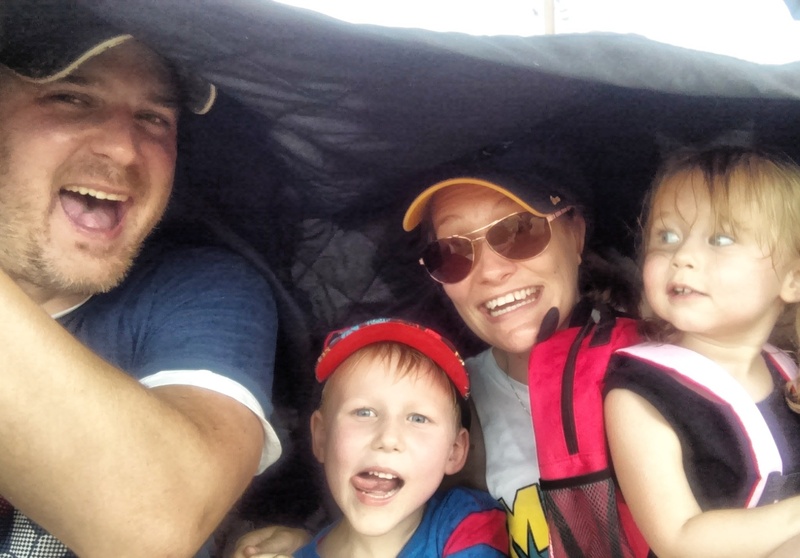 If you expect me or my family (especially my kids) to be perfect, I am going to make a boundary and place myself and my loved ones on the other side. I am not always well behaved, neither are my kids, and neither are you. If you expect my house to be in perfect condition, I’m drawing a line. I once had someone point out that I missed a spot when cleaning the bathroom. And it killed me. Not anymore. Yeah – I missed a spot. If you noticed it, either ignore it or else you are going to the other side of the line. Don’t make me feel less than for my imperfections and I won’t make you feel less than for yours. If you are okay with that rule, then we can be friends. If not, then I’m going to have to protect my precious time and energy by embracing those who will instead. PS. In the spirit of imperfection, this Mom Monday post comes on Tuesday.